As such, the recordings – at least the first three tracks here – are not only about process rather than composition, but are process, captured in real-time. And while the acoustic instruments are very much in evident, the way they very swiftly morph beyond recognition is, indeed, enthralling, because nothing is as it seems. ‘Primus’ twangs, detuned, retuned, out of tune, the notes bending and overlapping seemingly in a state of disorder, and soon the album’s trajectory reveals itself as fleeting moments of grace emerge from an ever-shifting away of tinkling chimes and funnelling drones. Strings scrape and scratch atop a woozy buzz on the lower frequencies and ominous hums hover and eddy. The fourth track, ‘Quattour Elementa’ is essentially what the title suggests: four pieces put together to form one extended piece. Each segment offers a different sonic vista, formed as they are using different instruments – and only ever one or two on any one track. Again, it’s an exploratory piece that is concerned with, and captures, the process. 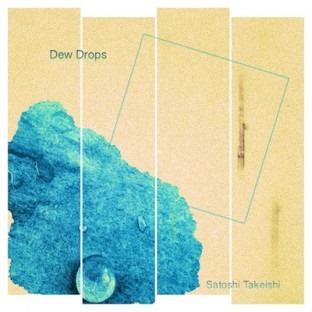 Fortunately, rather than sounding like someone’s soundcheck or studio fiddling, or the musical equivalent of someone’s scrappy workings out for a new story or a difficult mathematical calculation, Dew Drops actually holds up as a work in its own right, and something worth listening to.